Tommee Tippee Essentials Starter Kit contains everything you will need to bottle feed your little one. 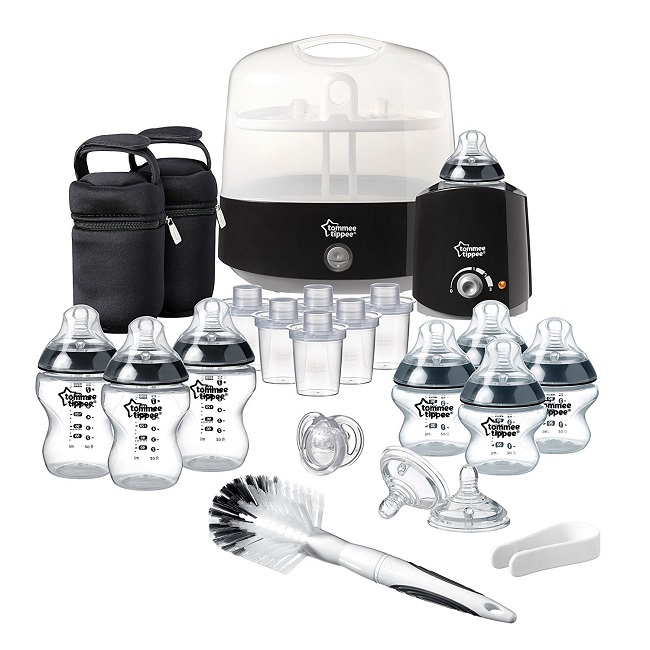 This special edition kit is designed for baby and beautifully tailored to blend seamlessly into your home. The stylish black steriliser and bottle warmer are ideally suited for sitting neatly alongside your kitchen appliances.